This awesome project belongs to a customer in New Jersey. 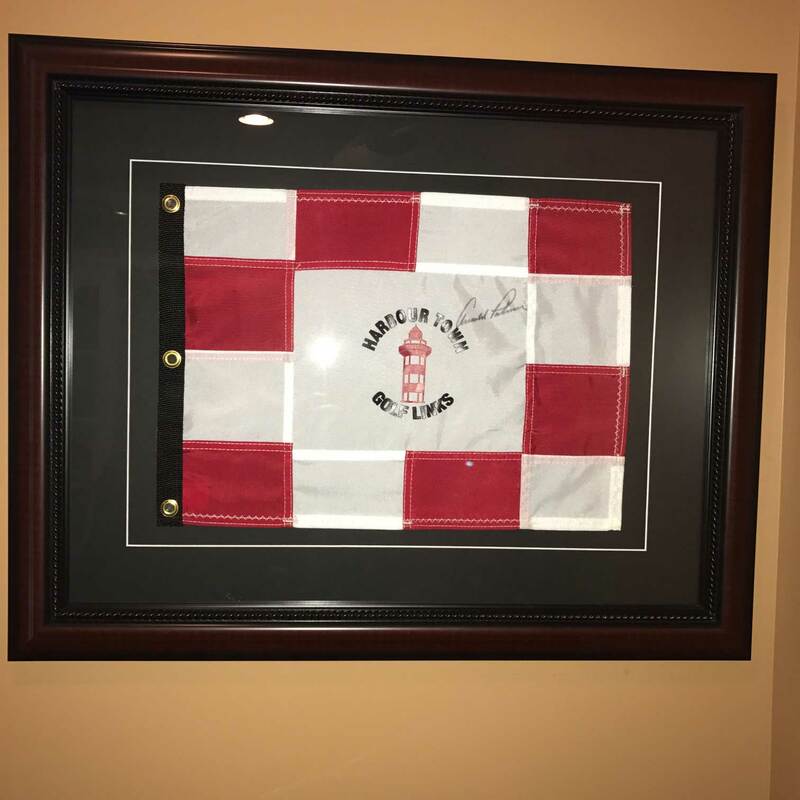 Harbour Town Golf Links flag signed by Arnold Palmer. This is a custom size frame designed to hold a 13×19 flag. Jay selected moulding #brn-004 with black floated mats. It looks great! You can find this custom size frame here.